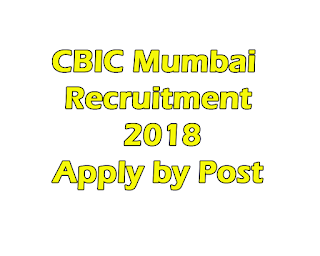 Central Board of Indirect Taxes and Customs (CBIC) Mumbai Maharashtra has invited to application for Hawaldar posts. 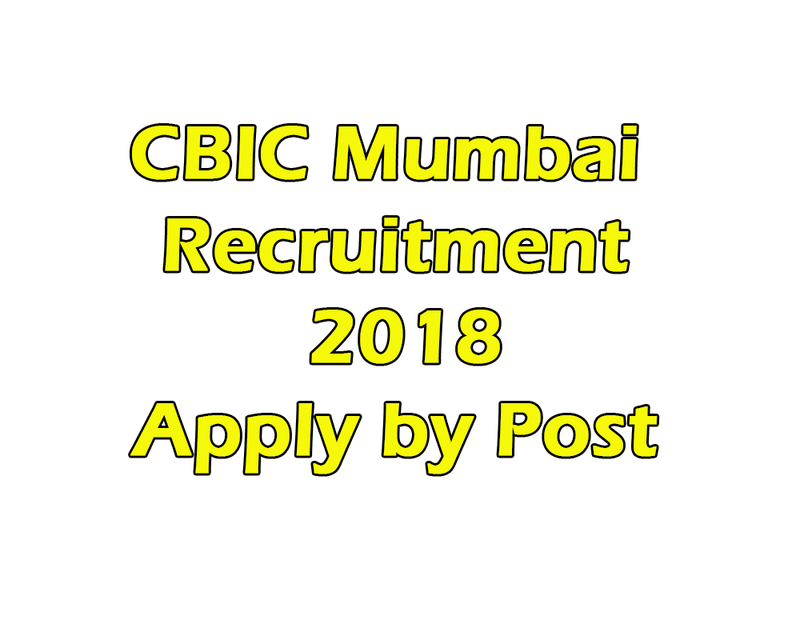 Eligible candidates who wants to apply for these posts refer the below article for details like age limit, qualification and how to apply for CBIC Recruitment 2018. Age limit:- Candidates age should be minimum 18 years and maximum 27 years. Matriculation (SSC) or equivalent from any recognized Board. Applications will be accepted as per the format attached to the advertisement only. Post the application form with all documents mentioned in advertising PDF before 15 December 2018.